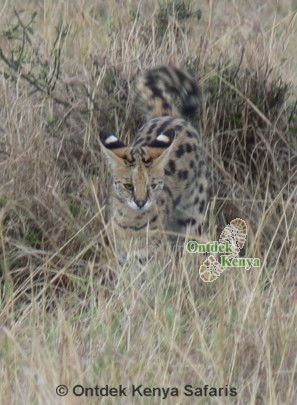 Sorry it took so long, but I am finally getting my Kenya safari review to you. All the places we stayed at were fantastic... guess I was expecting more rustic dwellings and was delightedly surprised. I wasn’t that fond of Treetops, (too many people) though it was an interesting experience! Looking back, I would have preferred to have stayed another night at the Sangare tented camp instead of Treetops. It was a much more personal experience. The food and service were great everywhere we stayed, also. I loved all the fresh fruits and vegetable salads on the buffet tables. And of course, we had a wonderful safari guide and driver, Elijah, with whom I felt very safe and enjoyed his humor! The driving and walking safaris were wonderful, with the great box lunches, though the walk up the mountain was a bit of a stretch for me. I am not as athletic as the other 3 gals, especially climbing in higher altitudes, plus I have a few more years on them, but the view from the top was so worth it! The visit to the Masai village was a real eye-opener, sitting in their home and experiencing personally what it must be like to live there! Keep that in your tour!!! I REALLY APPRECIATED that you were able to plan a school visit! If you do so again with other tourists, please tell them that simple paperback books for the school library would be the best gifts to bring, along with an atlas, map, or globe, which were very needed. Those would be a much longer lasting gift than pencils, pens, bookmarks, or candies for just a few students in the school. I wish I had brought more copies of the paperback thesaurus for the school’s library or individual classrooms. I still wish there were some way to get more resources to the school. I was very excited about all the wildlife we saw... very up close and personal! I got such great photos... I’m still weeding through my 641 photos... hate to delete any. In all honesty, even though I enjoyed Amboseli and the view of Mt. Kilamanjaro, I think that if we had stopped at the tea plantation and spent a night there (which would have been very interesting) and then flew back home from Nairobi, it would have still been an awesome tour! 10 - 12 days would have been quite satisfying for me, as I was feeling ready for returning home by then. Thank you again for the very memorable tour and experiences that will stay with me for a lifetime!! I am so blessed and lucky to have met you and Elijah, and wish you both the best in life! I have already spoken to a small group of retired teachers about my trip, and one lady has asked me for your website, as it is her dream, as was mine, to experience Africa. 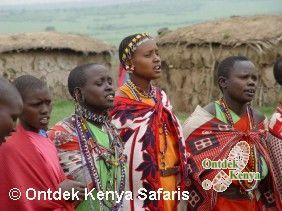 I will definitely spread the word about Ontdek Kenya!! Take care and do keep in touch! I hope this email gives you enough feedback. Feel free to use me as a reference. Any other questions... just ask. 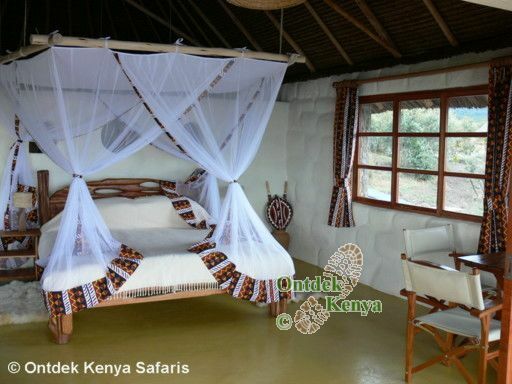 For more Kenya safari reviews, click here.